Do your own inspection. It’s basic, but give your car a once-over periodically so you catch anything that looks out of the ordinary. Make sure all your lights are working. Check the air pressure in your tires every month or so (and buy a cheap tire air pressure gauge and keep it in the glove compartment). Doing so is good for your tires, gets you better mileage, and saves you money in gas if you discover that the pressure is off. Listen for any strange sounds, inside and out. Make sure your tires have enough tread. You can use a penny to do it or look out for the wear indicators on the tire treads. If anything’s out of the ordinary, don’t ignore it. Check your oil and get it changed regularly. Whether your car has a dipstick to check the oil’s color and oil level or the dipstick has been replaced with an electronic gauge, you should know how to check it. 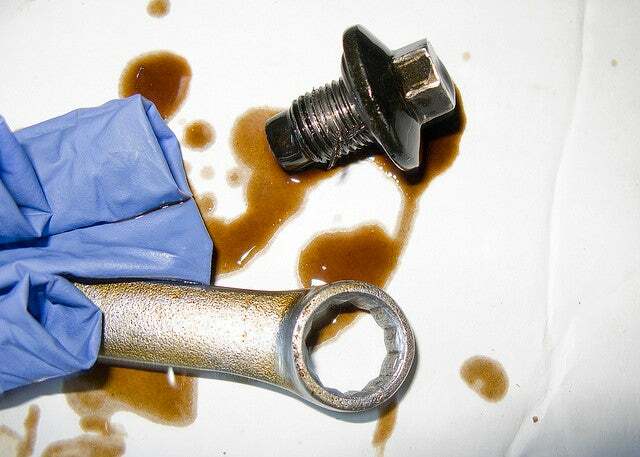 Knowing the difference between clean oil and muddy, murky oil will save you a ton on unnecessary changes and gives you a way to tell if something’s wrong with your engine (e.g. the oil looks terrible but you just had it changed). It’s hard to make a universal recommendation for how frequently you should change your oil, but the answer is—as we mentioned—in your owner’s manual. Don’t just blindly follow the 3,000-mile myth though—for most vehicles it can be as high as 10,000 miles, depending on the oil your vehicle calls for (something else that’s in the manual). Check your battery and clean the contacts (if necessary). Most batteries these days don’t require much in the way of maintenance, but you should know where it is and check it to make sure it’s not leaking and there’s no mineral or other buildups on the contacts. If there is, clean it off with a battery cleaning brush. It will set you back a couple of bucks at any auto parts or department store. Buy one and keep it in the trunk. While you’re at it, consider buying a cheap battery tester or jump starter. You’ll never need to call someone or wait for AAA (or a friendly passer-by) to give you a jump. Replace your windshield wipers when the view gets streaky. It may seem silly, but I’ve known several people who just ignored their wipers until they got them replaced as part of a bigger job. Wipers are cheap and easy to replace yourself. Don’t wait until you can barely see through your windshield. Your visibility is important, and you wouldn’t wait until you saw an optometrist to clean your glasses, would you? While you’re at it, give your windshield a good cleaning inside and out—if it’s hard to see, the problem may be inside, not out. Replace your cabin air filter. Replacing a cabin air filter is probably one of the easiest things you can do to keep your car comfortable. Most vehicles make the cabin air filter easily accessible and replacing it is as easy as opening a box. You can get a fitting filter at any auto parts store. It may not be critical to your car’s operation, but it’s easy, it makes the ride more pleasant, and it’s a repair you’ll never have to pay someone else to do. Change your spark plugs. If your spark plugs are worn out or covered in the buildup, your engine isn’t working efficiently. That can cost you money in fuel for one, but it can also lead to a breakdown. It may sound daunting, but in some cases checking and replacing them isn’t that difficult. If you don’t feel like doing it yourself (or it’s a big and complicated job for your vehicle), follow your manual’s recommendation and get them changed regularly—for most standard copper spark plugs and vehicles, that’s around 30,000 miles (but again, it varies – some iridium plugs can last up to 100,000 miles). These are just a few things that every vehicle needs and almost all of them are things you can do yourself. 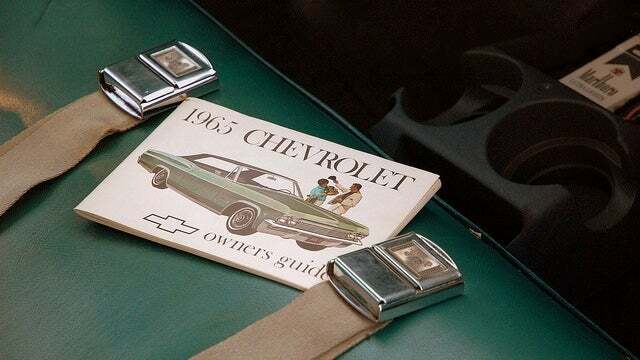 We can’t stress enough the importance of checking your owner’s manual for anything we may have overlooked here, or anything specific to your vehicle. If you don’t have your manual, you can find it pretty easily online. Check with your manufacturer first—they may even have a PDF copy on their website. If not, Edmunds has a list of online manuals here organized by manufacturer (US only). Our friends at Jalopnik turned us on to Just Give Me The Damn Manual, which is a real windfall. If you still can’t find it, you can probably order a copy from Helm, Inc, or pick up a Haynes Manual which, although they’re aimed at the DIY enthusiast, will tell you everything you need to know. Remember, preventive maintenance can save you a ton. It’s not just something mechanics and car people tell you to do to spend money.